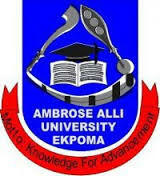 The National Universities Commission (NUC) has granted and recorded 100 per cent accreditation of courses of the Ambrose Alli University (AAU), Ekpoma in the latest accreditation exercise. Out of the 20 programmes assessed by the NUC accreditation team, 18 were accorded full accreditation while two got interim accreditation. Mechanical Engineering and Educational Management. Agricultural Education and Statistics were programmes accorded interim accreditation. According to the Spokesman of the Ambrose Alli University (AAU), Ekpoma, Mr. Edward Aihevba he said the NUC accreditation team visited the university between November and December last year to assess its programmes. Aihevba noted that the feat was an indication that the university had attained the highest academic standard prescribed by the NUC in the programmmes visited. “By this 100 per cent performance, Ambrose Alli University has attained the highest academic standard prescribed by the NUC in the programmes visited.